Check out what our customers are saying. From the moment Dave & Kevin arrived to build our veranda they were very professional from start to finish. They answered all questions we had. Very nice and friendly people. Everything was packaged in boxes and to be honest when they had finished you would think no one had been. They cleared everything away. The veranda looks great and we like the fact we are able to add to it in time. We would highly recommend open space concepts as they are very friendly & professional company.. Thank you pat & Ray Barclay.. The Sales team were polite from the start and provided us with information and advice immediately. 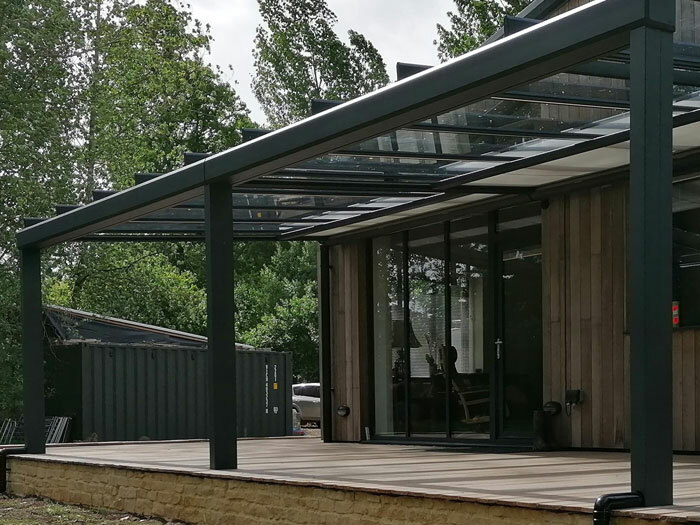 After ordering the installation team were fantastic, accommodating us with installing it in a small time window (and removing the old awning at no extra cost) and were friendly and very professional, clearing taking pride in their work. Finally the Awning itself is lovely and we couldn't be happier. (the overall cost was also significantly cheaper than rival companies we contacted from our online search). I couldn't recommend this company any higher! Our emails will include information about our products. Your data will not be passed on to any third parties.